Amongst Spain’s major provincial capitals, Alicante is widely known for tourism as it is close by to major airports and also home to various beautiful resorts. Visit this spectacular Spanish city for the long waterfronts, the old quarter and an enchanting castle of Santa Barbara. The fabulous weather all year round along with a busy nightlife makes this place a favourable destination in Spain. The best way to get around the city is to take a car rental in Alicante as you can explore different sights at your own pace. Stunning beaches, historic sites, and cultural delights are aplenty in Alicante. In all probability, the only trouble you’ll have in this holiday is fitting all exciting things within your schedule. Some of the famous beaches you can visit in your car hire in Alicante include the Playa del Postiguet, Playa del Coco. If you’re interested in some non-beach sports, you must definitely visit San Juan, where the Alicante Golf Club is. 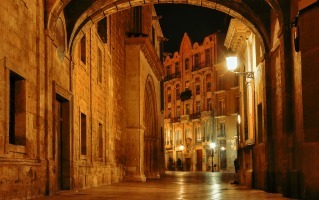 There are many exciting eateries in Alicante that can be visited in your car rental. Indulge in the famous rice dishes and desserts for a sumptuous gastronomic experience. Book Hertz car hire services in Alicante to make sure your holiday is smooth and safe at all times.